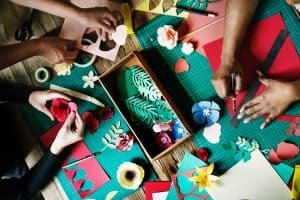 The Michaels Companies, Inc. is the largest arts and crafts specialty retailer in North America (based on store count), providing materials, project ideas and education for creative activities. Established in 1962, the company now operates more than 1,200 stores in 49 states and Canada under the brands Michaels, Aaron Brothers and Pat Catan’s. The deployment of a return authorization system. The project began as a collaboration between LP and IT, and it had two major parts. First, refund management to address customer service for receipt look-ups and better managing tenders in order to fill in the holes in their current procedures. Second, return authorization to identify situations where the Michaels return policies were being broken and addressing those risks. Senior leadership challenged us to get more “bang for the buck.” An important way to accomplish this is by focusing on innovation.—such as focusing on high-dollar SKUs during returns, as opposed to continuing to refine return rules and policies. This quest for “more bang for the buck” extends to other LP stalwarts like exception reporting, case management and CCTV. The LP team is eager to accept responsibility to identify solutions to complex problems. Often, solutions can be found from within the company. We all get comfortable in the way things are being done. The director had to focus much of her time at changing the status quo since she is relatively new at Michaels. Benchmarking, learning, and building business cases are all key to selling internally to get the funding and the appropriate ROI. What does your department do that pushes the envelope in terms of technology, tools, or approach? We have created a very innovative spirit, and that is what drives our decisions and projects. The Michaels LP team is bringing several new technologies live very soon and are modifying how we use many others. Yes, they are, and benchmarking is critical for everyone. It’s so important to learn about different technologies and about different retail verticals. For example, someone with a big-box background will have to learn new ways to benchmark when it comes to specialty retail. How can retail LP departments help one another succeed? The retail LP community is great because everyone wants to win and share successes. Benchmark and ask questions! Be innovative, try new things, take risks, and leverage solutions from vendor/partners. What is your department most proud of in the last year? Since it was the director’s first year at Michaels, we focused on innovation and teamwork. Learning and testing ideas for successful results and building internal business cases. *Editor’s Note: This Snapshot of the Michaels loss prevention department was submitted by Tom Rittman, vice president of marketing for Appriss Retail.